The Seven Bridges Trail offers a unique recreational and inspirational opportunity within the urban area of Milwaukee County. Location: Grant Park, Milwaukee County Park System, in Grant Park, south shoreline of Milwaukee off Lake Drive. The Seven Bridges Trail offers a unique recreational and inspirational opportunity within the urban area of Milwaukee County. The trail contains a series of bridges and walkways routed through a set of ravines that bisect Grant Park, and it exemplifies the grand vision of the Milwaukee County Park Commission of the early 20th Century to provide a well-designed natural oasis amid the industrial expansion of Milwaukee. Established in 1911, Grant Park is one of the oldest parks in Milwaukee county, and one of the most significant in the development of the rest of the park system. In 1914 the Milwaukee County Park commission hired Frederick C. Wulff, a German horticulturist and arborist to develop a nursery, greenhouse, orchard, and game farm that would provide stock for the development of the Park system. Wulff was also responsible for the development of much of Grant Park, including the Seven Bridges Trail. In 1917 a house was built atop a ravine in what is now the Seven Bridges Trail for Wulff and his family. The house still stands at the edge of the trail and is used by youth organizations for overnight stays. 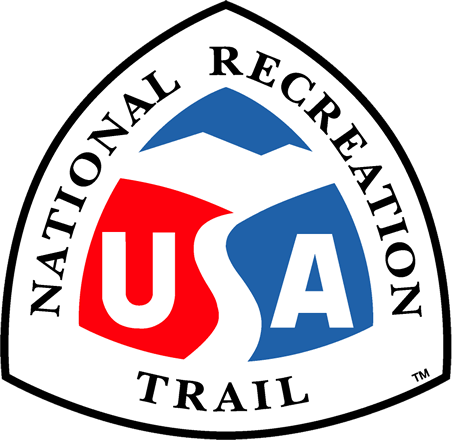 The development of the trail continued through the 1920s and 30s under the direction of Wulff. 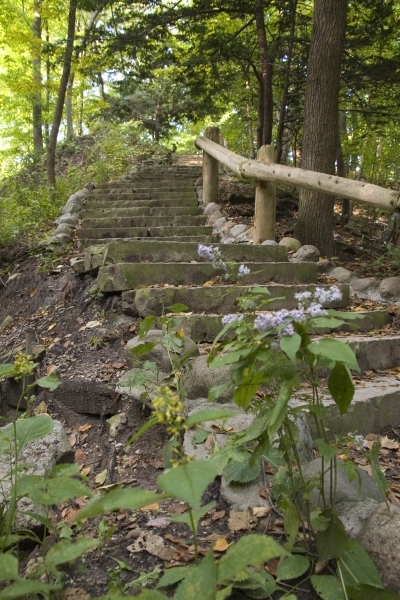 Over 200 WPA and CCC workers assisted in the construction of the trail, including several wooden footbridges, a covered Baravian-style bridge, lannon stone stairways and walkways, stone retaining walls, a man-made waterfall with dams and ponds, and planting along the ravines and rock walls. Great care was taken to blend the man-made structures in with the natural elements of the ravines, creating a dramatic, yet serene environment around the trail. Today the Seven Bridges Trail is a focal point of Grant Park, drawing thousands of visitors of a broad and diverse population from the Milwaukee area and beyond. Many urban school groups visit the trail for nature study and overnight stays at the Wulff Lodge. The trail offers wonderful opportunities for birding, photography, wildlife observation, silent strolling, and access to Lake Michigan. 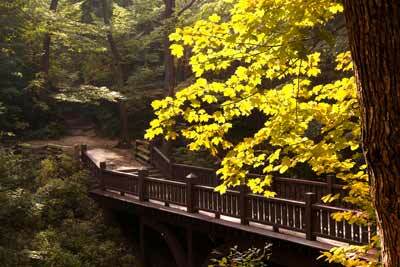 The Seven Bridges Trail allows access to many outstanding natural resources found within Grant Park. The ravines are heavily wooded with very old stands of American Beech, Maple, White Ash, and Yellow Birch trees. On the forest floor there is an abundance of spring ephemerals, trout lilies, jack-in-the-pulpits, May apples, trillium's, and many other native flora. along the bluffs adjacent to the trail, there is a wet fen (meadow), which supports a population of plants rare to the area. As a prime migratory route along Lake Michigan, the area is host to many migrating birds.